Today is National Unicorn Day. Yes, really. Some of you might know that the unicorn’s Scotland’s national animal. And in these dark, uncertain days, I think we need a miracle to see us out of Brexit, out of te UK, out of austerity. Here’s our national animal standing proud on the steps of our Uni chapel. This entry was posted in Professional and tagged HE, photos, Scotland, scotland. 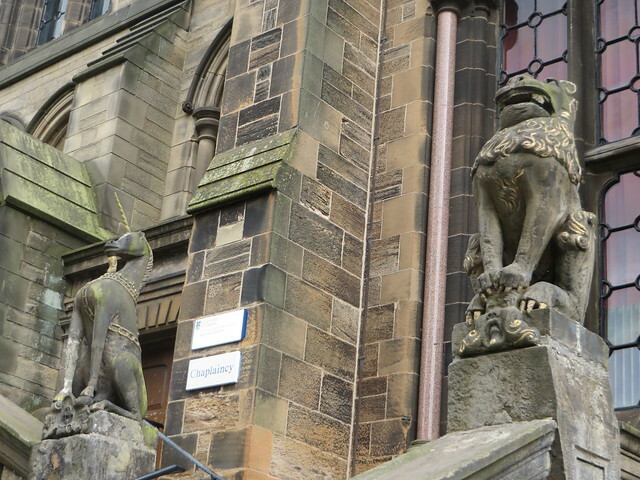 university of glasgow, unicorn, University on 9 April, 2019 by NomadWarMachine.